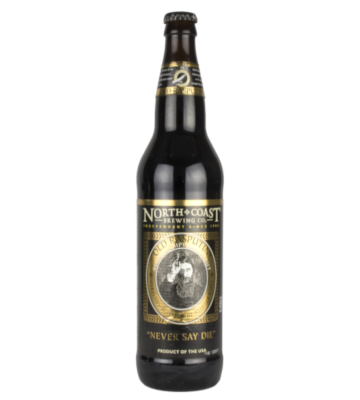 Navigate: StoreFront / Beer / Old Rasputin Russian Imperial Stout 22 oz. Old Rasputin Russian Imperial Stout 22 oz. Beer orders only processed and shipped through UPS, Mondays. No Exceptions. 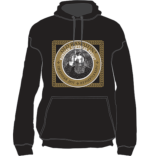 Adult Signature Required at time of delivery. Recipients must be at least 21 years of age. 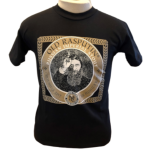 The Old Rasputin brand image is a drawing of Rasputin with a phrase in Russian encircling it — A sincere friend is not born instantly. WE CURRENTLY ONLY SHIP BEER WITHIN CALIFORNIA VIA UPS GROUND. From Anonymous of Pleasanton , California on 11/10/2018 . Nice beer hints of licorice, chocolate. honey and vanilla and coffee.